The more members we have, the louder our voice becomes. Wanstead is a lovely neighbourhood – but it’s constantly under threat from poor planning and government cutbacks. Help us speak up for Wanstead. Members receive a quarterly newsletter packed with news and stories. You will also be invited to our AGM, where you can take part in the open forum attended by Councillors. It is your chance to air your views. And there are social events too – gather with other members who are passionate about Wanstead, Snaresbrook and Aldersbrook over a drink and nibbles in one of our local pubs. 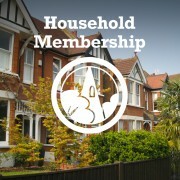 Membership costs just £10 per year and covers all members of your household. 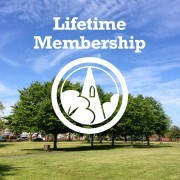 You can join online, and pay using the method that suits you. Yes, sign up now and pay by cheque or cash… or complete your payment online using your debit or credit card. Paying by credit or debit card: The card payments are processed by PayPal. You do not have to be a PayPal account holder – look for the “Checkout as guest” option. Paying by cheque, cash or bank transfer: Complete your membership online, and follow the instructions to make your payment. Paying by cheque or bank transfer: Please download a form here, print it out and send it completed with a cheque to: The Wanstead Society, c/o Wanstead House, 21 The Green, London E11 2NT. Paying by cash: Download a form here, print it out and drop the envelope into reception at Wanstead House, 21 The Green. Paying by standing order: Please download a membership form here, print it out and send it to: The Wanstead Society, c/o Wanstead House, 21 The Green, London E11 2NT. Download the Standing Order form here, complete it and send to your bank.